The Southern Elephant Seal is one of the two extant species of elephant seals. 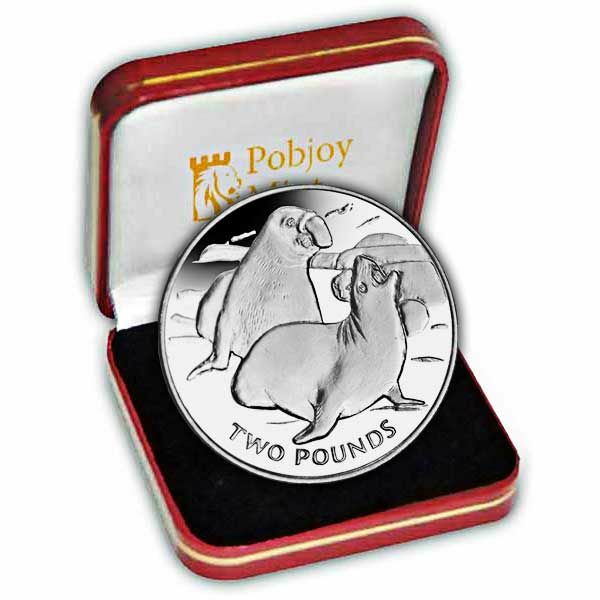 It is both the biggest pinniped and member of the order Carnivora living today, along with the biggest Antarctic seal. The seal gets its name from its great size and the large proboscis of the men, which is utilized to make extremely loud roaring sounds, especially during the breeding season. Immediately recognisable by the large, inflatable proboscis, the male southern elephant seal is the greatest seal in its household. They have the ability to propel themselves quickly (as quickly as 8 km/h (5.0 mph)) in this method for short-distance travel, to return to water, to overtake a woman, or to go after a trespasser. 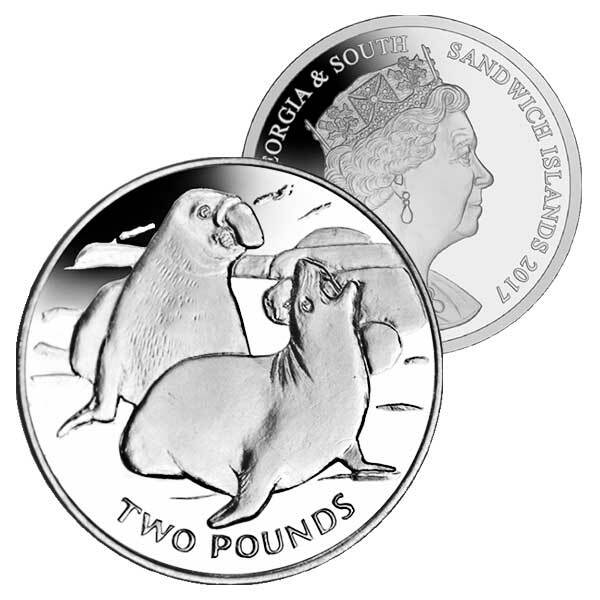 This New 2017 coin illustrates a male and female Elephant Seal while sitting on a beach, which is among the most popular locations to discover any elephant seals in the South Georgia and South Sandwich Islands. The largest subpopulation remains in the South Atlantic, with more than 400,000 people, including about 113,000 reproducing women on South Georgia; the other reproducing nests of the Atlantic subpopulation are located on the Falkland Islands and Valdes Peninsula in Argentina (the only continental breeding population).